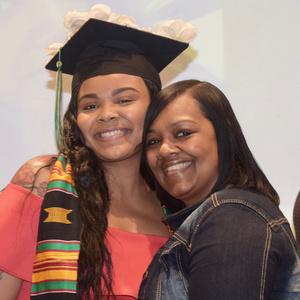 Black graduation to be held this year on May 5th in Olscamp 101 starting at 5 pm, gives parents, students, faculty, and staff an opportunity to celebrate the success of our students. Graduates participating in the ceremony have persisted against the many obstacles confronting them in their journey towards their degrees. In conjunction with the traditional commencement, it is meant to celebrate the long tradition of cultural awareness at BGSU. Black Graduation is student ran with the guidance of Multicultural Affairs staff. Over the past 15 years, this event has grown in attendance to more than 600 family, friends, faculty, staff and alumni. An integral part of the ceremony includes a family member joining their graduate on stage to place a Kente Cloth around their shoulders when their name and degree are called.